The year is 2322. Humanity has expanded into the stars, inhabiting over 100 worlds across a third of the galaxy. Though thriving as never before, they have discovered neither alien life nor the key to utopia. 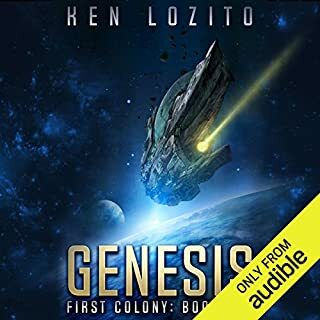 Earth struggles to retain authority over far-flung planets and free-wheeling corporations while an uneasy armistice with a breakaway federation hangs by a thread as the former rebels rise in wealth and power. The Asterion Dominion is at peace with its neighbors and itself. Its citizens enjoy great freedoms and all the luxuries their biosynthetic minds can imagine, design, and create. But beneath the idyllic veneer, something is going wrong. People are going wrong, driven to commit inexplicable crimes without motive or purpose. And once imprisoned for those crimes, they simply vanish. Psyche-wiped and dumped in an alley five years ago, awakened into a culture where ancestral memories stretch back for millennia, Nika Tescarav's past is a blank canvas. But if whoever erased her did so in the hope of silencing her, they should have tried harder. 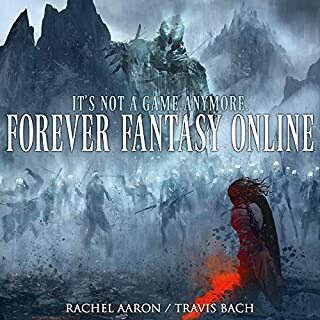 In the real world, twenty-one-year-old library sciences student Tina Anderson is invisible and under-appreciated, but in the VR-game Forever Fantasy Online she's Roxxy—the respected leader and main tank of a top-tier raiding guild. Her brother, James Anderson, has a similar problem. IRL he’s a college drop-out struggling under debt, but in FFO he's famous—an explorer known all over the world for doing every quest and collecting the rarest items. The Earth Alliance rules 82 worlds, controlling an empire that spans a third of the Milky Way. But when its leaders stray too far from the democratic principles on which it was founded, one colony - one group of daring rebels - will risk everything in order to reclaim their freedom. Before Alex Solovy was a successful interstellar scout, she was building starships and planning for the day when she would fly one she called her own. Rose McKenzie may be far from Earth with no way back, but she's made a powerful ally - a fellow prisoner with whom she's formed a strong bond. Sazo's an artificial intelligence. He's saved her from captivity and torture, but he's also put her in the middle of a conflict, leaving Rose with her loyalties divided. Captain Dav Jallan doesn't know why he and his crew have stumbled across an almost legendary Class 5 battleship, but he's not going to complain. The only problem is, all its crew are dead - all except for one strange, new alien being. 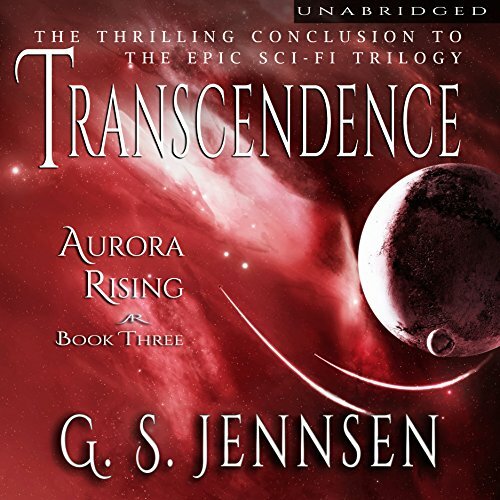 A Perfect Sci Fi / Romance Series You'll Love! What does it mean to be human? What if the price of saving humanity is giving up your own? The year is 2322, and we stand upon the precipice of extinction. The invading Metigen armada has decimated the eastern third of settled space in a matter of days, leaving tens of millions dead. Determined to save the heart of human civilization, Earth and Seneca at last put aside their differences to face the threat together. But even this may not be enough to stop the fleet of colossal dreadnoughts inhabited by advanced AIs. Alex Solovy and Caleb Marano hold the key to defeating the invaders, for they know the secrets the aliens wage war to protect. Now they face a deadly gauntlet of relentless alien hunters and assassins sent to kill them before they can unleash a potent new weapon. They will risk everything in a bid to save their families, their loved ones, the entire human race - even if it means they can't save each other. The lines blur between man and machine, ally and enemy, and soldier and civilian. In a final stand against an ancient, powerful foe intent on eradicating it from the universe, humanity comes face to face with its destiny. When faced with its greatest challenge, will humanity rise to triumph or fall to ruin? 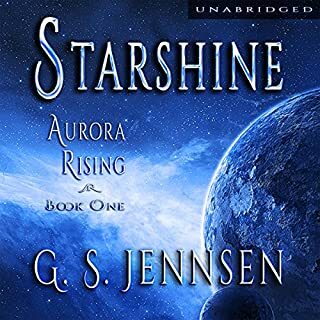 Aurora Rising is an epic tale of galaxy-spanning adventure, of the thrill of discovery and the unquenchable desire to reach ever farther into the unknown. It's a tale of humanity at its best and worst, of love and loss, of fear and heroism. It's the story of a woman who sought the stars and found more than anyone imagined possible. 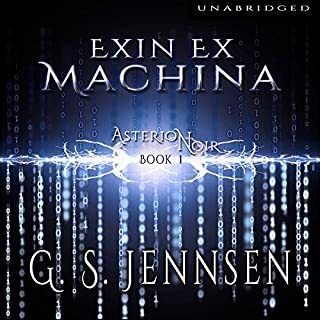 Great story, action, suspense, danger, romance, battles,, technology and it's paradoxes. Narrator captured voices masterfully slightly annoying though was the 'chuckles '. I recommend this series and will be continuing on to listen to the next book because of the questions - where will it all go next? G.S. Jennsen is fast becoming my favourite guilty pleasure. Her books are just so much fun to read. One criticism I have is that with the exception of one single planet, almost everything seems to be named after the Greco-Roman culture. It seems very unlikely that our future should draw so heavily on simply one cultural tradition. On the other hand, the reason I've enjoying these books is because they have a balance of action to thought, technobabble or emotions, plot to character development. It's a fun light read and so that criticism, while valid, doesn't really effect my enjoyment of the books that much. 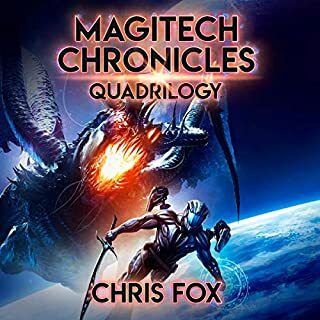 While I was initially put off by the many plot lines of book one, it was mote than well worth it to get through my discomfort, expand my brain and go for the brainily executed ride that this trilogy provides!